Category Archives: What’s a mum? 8. Go on to Young Vic website and spend ten minutes booking tickets for A Streetcar Named Desire – website is a pain, so takes ages. Simultaneously brush daughter’s hair with other hand. Get tickets! Whoop! 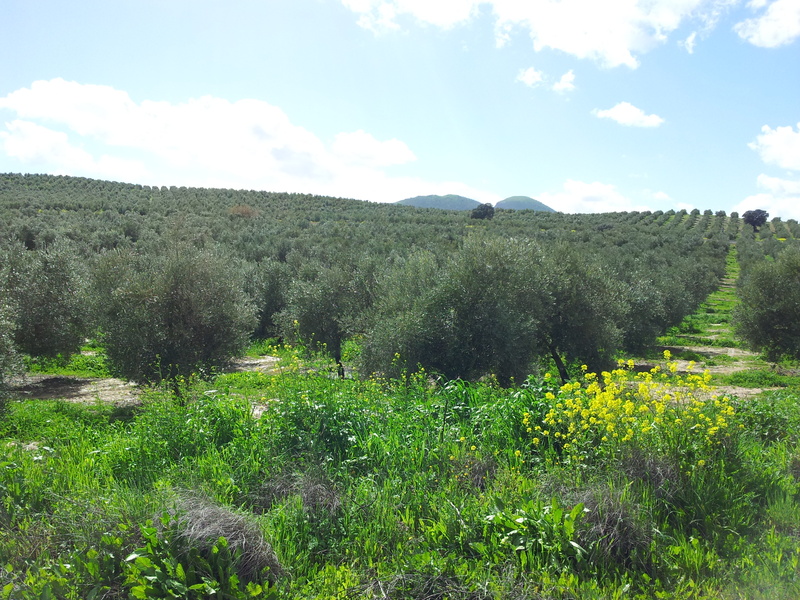 Spanish olive groves – simply stunning! Something that recently perked me up, and reminded me of summer, was a delivery from Spanish olive oil merchant Fincalink – a website devoted to promoting the advantages of eating beautifully fresh olive oil, delivered directly from the growers, which are based all over Spain. Part of the Slow Food movement, their aim is to connect customers like you and me directly with producers, which I think is a great idea, particularly since I read that olive oil found on supermarket shelves is often blended with old olive oil and chemically adulterated. Urgh. I love olive oil, and am a big fan of the Mediterranean way of eating in general, having lived in France for a while, way back when (I do tend to think it helps if you actually live in the Mediterranean – all that sun, blue sky and olive groves must be conducive to healthy eating, surely?!). Olive oil is an important part of this way of eating, and has been proven to actually be good for the mind as this recent study proves. 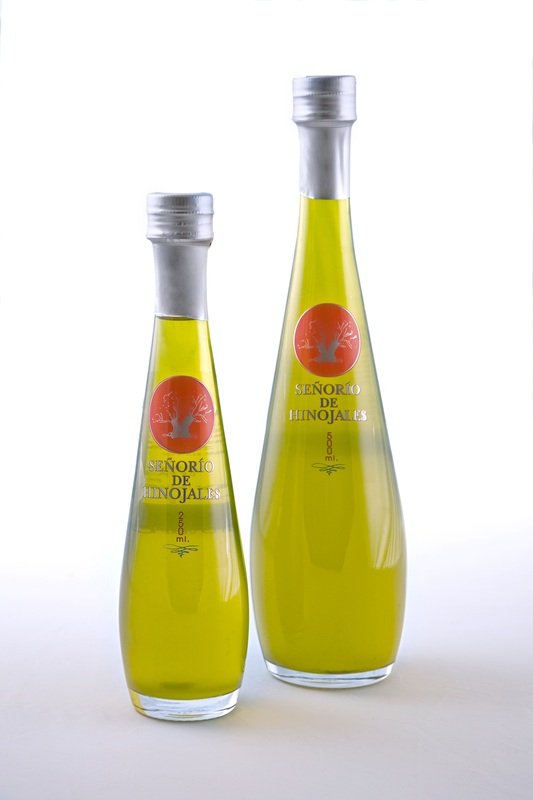 I tried the Señorío de Hinojales oil, which is described as their ‘star’ – it’s an award-winning olive oil – and I have to say, it is gorgeous. The colour is amazing, particularly when compared with bog-standard olive oil. It is fresh, green, fruity and has a well-balanced flavour with just a hint of pepper at the end. Totally delicious. I have been using it in dressings, on cooked vegetables, on top of soups, and the children have had it drizzled on pasta with Parmesan, and have also enjoyed just dipping bread into it (warning: can get messy). I love the ethos of what Fincalink is doing, and this olive oil is outstanding. They sell a range of olive oils, olives in jars, tapenades and even olive oil face and body products. So click on the link to buy olive oil, for information about Spanish olives and growers, and tasty Spanish recipes to try! Note that Fincalink is currently offering 20% off for all first-time orders! Toss together cherry tomatoes with olive oil and pieces of peeled garlic. Season and roast in a 200°C/Gas 6 oven for 15 minutes. Slice mozzarella into 1cm pieces. Toss rocket leaves with a good olive oil and lemon, place on bruschetta and tomatoes and slices of mozzarella. Drizzle with olive oil. DISCLAIMER: I was sent the olive oil free of charge, to try. All the opinions on here are those of The One-Handed Cook.